O Black and Unknown Bards, How Do We Love Thee? “I am writing by the pound,” Hughes wrote to his longtime friend Arna Bontemps. Hughes was in his 50th year of life, with fifteen more active years before his death, and I was not quite one year old. Now at 57, I sense a need to once again take a cue from the old master and be busier at my work. In that same letter Hughes told Bontemps he had shipped some twenty pounds of manuscripts, including all five drafts of his play Simply Heavenly, to Yale University, the repository for his papers. It was the seriousness with which he took himself as a writer that has so inspired me in my life. It was a seriousness that George Houston Bass, my late mentor, worked to instill more solidly in me. Bass had been one of Hughes’ secretaries, and Hughes named him the executor of his literary estate. I was receiving transmission from Hughes through Bass, an experience I now value more than I did at the time. It was 1985, and I was thirty-three years old. In a moment of splendor, sitting as I was in his office there in the African American Studies building at Brown, I looked around to my left and upwards to the top of Professor Bass’s bookcase. He was explaining to me that Langston Hughes was very much with us. Some of his ashes were in the room. As often as I have told this story, I have gotten smiles and chuckles each time, but the solemnity of the moment will not go away for me when I am alone and thinking of how things have been passed on, the gift of knowledge and warnings of trials and challenges. “Hughes fathered me in the way that I am fathering you. Your responsibility as a poet is to bring the respect of the critics to the masses because you come from Blackbottom.” Bass was an intense man, and when he focused on me that way with those heavy eyebrows of his attuned like a hawk, the southern son in me was all obedience. Professor Bass was trying to get me to understand the significance of class in my own life. All full of expectations about getting an ivy league degree and being a professor, I was not quite sure of what to do with those feet of mine so firmly rooted in the ground of the working class. At the time that Hughes’ father sent him off to Columbia, my grandparents were southern sharecroppers, and my father’s grandparents lived in a log cabin packed with mud and outfitted with wooden sliding windows. His comment adds a great deal to what I already suspect about the tapestry of African American poetry, which is that it is largely unknown and misunderstood across the racial board, as I think there are very few younger black poets who have really let the lives of the dead black poets inform their own lives and work. Poets generally fade in the minds of young poets caught in their ambitions and the dead come to be regarded less and less as direct influences. I use the word tapestry as I avoid the word “tradition” these days. 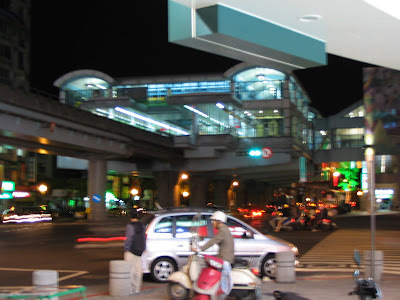 Tradition seems to imply more or less an adherence to principles which are set forth to insure the continuation of something, and that is perhaps where the aforementioned scholar lives in his own critical world, a place where expansiveness is not to be had. His attitude is akin to one even more limiting, which is that poetry by African Americans is in its own world, something apart from the mainstream. It seems to me that such a view guarantees the stasis of all American poetry, when the truth is that black poetry has always informed and energized American poetry in ways similar to the effects of black demands on the democratic system. Democracy has been taken to task by black folk who have continually asked it to prove itself. Black poets have taken democracy to task. These challenges to America’s ideals have benefited everyone in this country and beyond. Kelly Miller, part of the old guard at Howard University, would have something to say about the supposed monolith of black American culture, as would his daughter Mae Miller, a poet and playwright herself, a gentle little old lady with whom I had lunch as part of a reading I gave in 1985 at the Library of Congress at the invitation of Gwendolyn Brooks. Gwendolyn Brooks was hosting me for the event and was at the other end of the table. She looked down to get a fix on what Mae was trying to do to me. It was all rather harmless, so Gwen left me to the task of eating the soup, which was Ms. Miller’s gift to me. We should all inherit sustenance. We should all value the gift of literary soup. In its heyday, Howard University had the brown bag test for social life. Folks darker than a brown paper bag were not allowed in certain social sets. There was the Jack and Jill Club. The dirty secrets of color and hierarchy in the early formation of the black middle class are still pretty much secrets, an area too prone to bickering and hearsay for any but the most brave and perhaps foolhardy of scholars to tread. Nonetheless, it is an important aspect of cultural self-knowledge and awareness. I could very easily say I wish more white poets and critics knew much more about the tapestry of African American poetry, but it is more the responsibility of African American poets to know the distances between historicity and intimacy, to know just how much the history of black poets before them informs and challenges their present circumstance. One should take up the difficult charge of honoring a tradition that was held to be substandard and honor it in a way that leads to the expansive growth of American poetry as a whole. It is not easy, and many have written about it, including Derek Walcott with his trope of the literary houseboy. However substandard these dead black poets were thought to be, they were the embattled wellspring that is indispensable to the definition of America’s poetry. I do not believe an aesthetic that denies them will stand, nor do I believe an aesthetic that refuses to move on from that historical base will stand either. Cultural and racial groups have to define their own humanity. If others write the African American narratives and name what they see as commonalities in the lives of blacks and whites, the door is left wide open to the denial of the genuine role of racial prejudice in American life. The discussion of class does not eliminate race, but it can illumine it, make it accessible to a broader critique. There is a story of race, class, and privilege inside black culture that is waiting to be addressed. 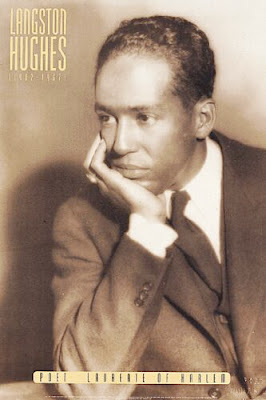 Langston Hughes was a middle class African American who wrote of ordinary folk as an observer filled with love for the poor and the working poor. Separated as he was from them by education and family circumstance, he maintained his own sense of cultural responsibility in his work. His faith was that his work would be a structure that the unborn poets would one day use. That is a profound commitment to the writing life. Professor Bass told me of the evening walks they would take through Harlem. Afterwards at his home, Mr. Hughes would ask him to talk about what he saw. Then Hughes would give his view of the neighborhood that evening. “Well George, this is what I saw.” Mr. Hughes went on to explain Harlem as he saw it. It was the work of an observer, but it was also the work of someone who very much knew he was a member of a specific cultural group facing very clear obstacles configured by racism. We should all know our origins. That’s easy. What’s not easy is knowing where we are in a country where the obstacles are not what they once were. However, I maintain that no matter how clear your course seems to you as a poet, there is something to be had in loving those black poets who are now gone, and loving them as part of who you are, even if you no longer think race so much defines your life. I believe the ironic power of race and racism is rooted in denial of the same. The suspension of race as a concept has to be rooted in a complex critique of it, not by simply declaring your transcendence over it. At this point in history, that critique depends on the honest confrontation of class and privilege as very real forces within the African American literary community, for better and for worse. Human exploitation masquerading as democracy. A country where captial is both God and law. Professional sports teams as modern-day forms of slavery where black men are owned by white men and sold/traded at will. A community of people with $1.2 trillion buying power still entering through the back door of life. A people with every right to sit at the table of blessing and still choosing to eat from the trough of poverty. I see the burning building into which MLK Jr. intergrated his people.